Vietnam is one of the fastest growing aviation markets in the world, growing by 17.4 percent in the last decade, which was driven by a rise in domestic and foreign travelers as well as the emergence of low-cost carriers. However, this rapid growth has started to put a strain on the airport infrastructure. The government has started to invest in infrastructure but more needs to be done in terms of capital and investment regulations to achieve a sustainable growth. 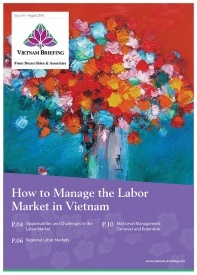 Vietnam’s aviation sector ranks the fifth amongst ASEAN countries. The sector served more than 94 million passengers including 13 million foreign passengers, an increase of 16 percent compared to 2016, more than double that of Asia. However, domestic passenger growth slowed down to 13 percent in 2017 from 25 percent in 2016. Between now and 2020, passenger transportation is expected to rise by 16 percent, and from 2020 to 2030, by 8 percent. Goods transportation will increase by around 18 percent until 2020, and 12 percent between 2020 and 2030. Vietnam, currently one of the world’s fastest-growing aviation market will be the fifth fastest-growing market by 2035, according to the International Air Transport Association. The Ministry of Transport plans to spend US$15.4 billion (VND 350.5 trillion) to develop the aviation sector by 2030, with US$ 3.7 billion (VND 84.4 trillion) to be invested by 2020. It plans to develop 23 airports with an annual air traffic of 144 million passengers by 2020, and 28 airports with an annual air traffic of 308 million passengers by 2030. To raise funds, the Airports Corporation of Vietnam (ACV) is planning to equitize and implement Private-Public Partnership (PPP) projects. Some of the airports to be developed include Long Thanh, Tan Son Nhat, Can Tho, Noi Bai, Van Don, Cat Bi, Da Nang, and Phu Quoc. The plan also includes developing logistics centers in Noi Bai, Da Nang, and Tan Son Nhat international airports. 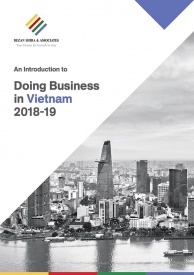 Vietnam currently has seven aviation companies, which includes four commercial airlines, Vietnam Airlines, Vietjet Air, Jetstar Pacific, and Vietnam Air Services Company (Vasco). Vietnam Airlines and Qantas entered into a joint venture to operate Jetstar Pacific, while VietJet entered the market in 2011. Global airline companies have shown huge interests in the market, but due to its limited infrastructure and 30 percent limit on foreign capital, investments and issue of licenses have been slow. The civil aviation authority in Vietnam had last issued a license in 2010 to Vietstar Airlines. Vietstar Airlines was set up in 2010 but applied for an air operator’s certificate only in 2016. The government has still not approved its operating license due to congestion in Ho Chi Minh City’s airport, and it may have to wait until the construction of an additional terminal. AirAsia is also planning on entering the market through a joint venture with Hanoi-based Gumin Company Ltd and Hai Au Aviation Joint Stock Company. AirAsia will own 30 percent in the venture. In the last three years, the aviation sector has attracted numerous investors in areas such as airport development, airlines, and services. The Imex Pan Pacific Group has proposed to the government to develop a runway, an international terminal, and an airport in Phu Quoc. In 2016, Vietnam Airlines sold an 8.8 percent stake to ANA, the largest airline in Japan. In addition, Vietnam Airlines entered into an agreement with ST Aerospace, the world’s largest commercial airframe MRO provider to set up a joint venture to provide Maintenance, Repair & Overhaul (MRO) solutions. Sovico Holdings, a leading multi-sector business group in Vietnam is planning to buy an additional three percent stake in VietJet Aviation to increase its stake to 7.59 percent. Other investors in the airlines include Sunflower Sunny Investment Company Limited, HD Bank, and Government of Singapore Investment Corporation. It takes around three to four years to set up an aviation company in Vietnam due to a number of administrative procedures. The investment plan needs to be compatible with the State’s master plan on the industry and has to be reviewed by the Ministry of Trade as well as the Ministry of Planning and Investment. 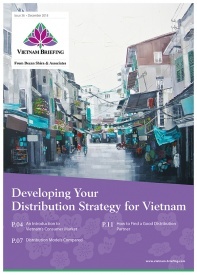 This lengthy process had led to delays for companies such as Vietstar Airlines. Decree 92/2016/ND-CP applies to companies involved in conditional business lines in the field of civil aviation in Vietnam. It covers air transportation, airport operations, training services, aircraft engine development, and other airport services. For air transportation, businesses have to meet minimum capital requirements. The minimum capital required for establishing and maintaining a general aviation business is VND 100 billion. A foreign entity cannot own more than 30 percent of the charter capital. 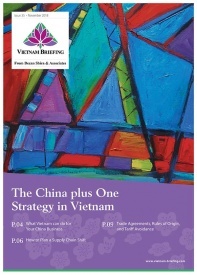 There should be at least one Vietnamese individual or legal person holding the largest charter capital. 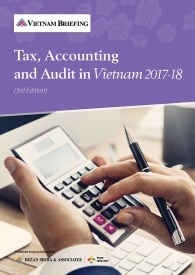 If the Vietnamese legal person has foreign owned capital, then the foreign capital contribution shall not exceed 49 percent of the legal capital of the Vietnamese individual. Transfer of share and capital contribution to foreign investors can be done after two years from the date of issuance of the business license. The minimum capital for domestic airport business is VND 100 billion, while for international airport business, it is VND 200 billion. Minimum capital required for firms involved in passenger terminals operations, warehouse, and gas and oil supply is VND 30 billion. Firms involved in managing apron areas, news services, navigation aid and supervision, as well as weather observation, must be at least 65 percent State-owned. Foreign ownership shall not exceed 30 percent of charter capital in enterprises managing passenger terminals, cargo terminals, gas and oil supply, as well as ground commercial technical services. Airlines can own a maximum of 30 percent of charter capital in airport enterprises and enterprises that manage passenger and goods terminals. 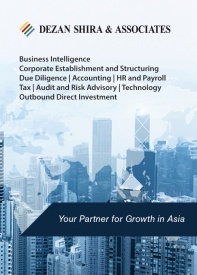 Although it takes three to four years to set up an aviation company in Vietnam due to numerous administrative hurdles, there are numerous opportunities in other areas such as infrastructure, MRO services, engineering, and ICT. In addition, divestments also offer opportunities for investors. Airports Corporation of Vietnam (ACV), which has a monopoly on trading, managing and operating international and domestic airports will be selling a 20 percent stake in 2018 and 10.4 percent by 2020, while Vietnam Airlines plans on selling a 35.16 percent stake in 2019.